‘The largest, longest and finest street…in the world’, according to Daniel Defoe. 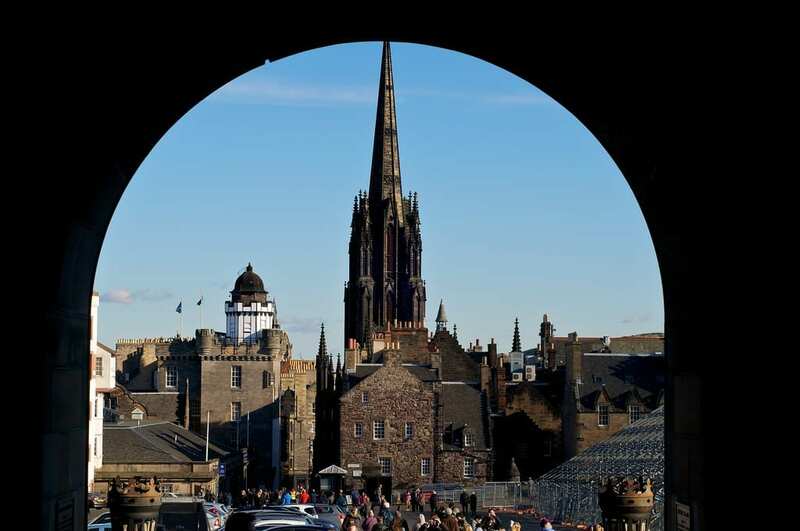 Spend some time exploring Edinburgh’s most famous street, The Royal Mile. This mile long street runs downhill from Edinburgh Castle and Holyrood Palace, a journey once taken by many Kings and Queens throughout Scotland’s history. From the Castle to the Palace of Holyroodhouse this area is full of atmosphere no matter what time of year you visit with its street artists, tourist shops, bars, restaurants and medieval architecture on the way to the castle.